Being ahead is all about prioritizing organization. A company that runs efficiently is one that has a fatter bottom line. So, let’s get organized! 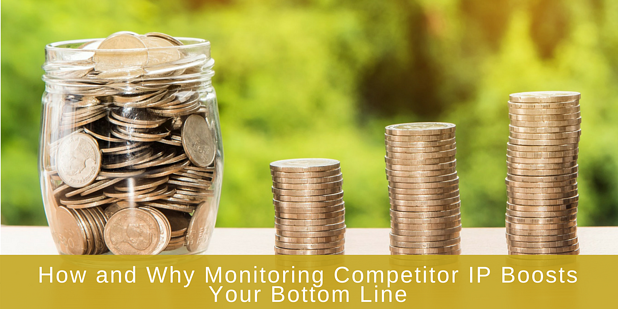 As you know, there are two ways to improve your bottom line: adding money or removing expenses. First, let’s discuss a few places where you might be putting your money that you shouldn’t be. Sounds like a rookie mistake, but it happens more than you might guess. It happens when there has been insufficient research done on the patent area’s field. Fortunately, this is an easy fix, as there are ways to find out what ideas have been patented, as well as those that are in process. How can IPVision help you? Our patent analysis can give you all the information you need related to your idea—what’s been done, what is being done, and what could be on the horizon from related companies. This one is almost impossible to avoid when you’re on to something good. But just because that patent has already been licensed, don’t give up. If you are truly sold on it, keep an eye on it. The original owner might not stick with it, and you could be allowed to pick it up if they drop the ball with licensing fees, etc. Also, your new idea could be just one thought away. Examining the technology landscape, we can see if someone else is already moving in the same direction as you. If we think your competitor is further along than you are, we may be able to suggest a slight alteration in your idea to move it along without trouble. You may have thought you had the greatest idea. You did your research and discovered that no one else had ever thought of anything even remotely similar to your idea. Then… you find out the reason it’s not on the market anywhere else. No one is buying it. Oh, if only you had a time machine to go back! But they don’t give refunds on patents, and you’ll never get that time back. When working with us, one benefit you receive is our expertise in finding the market’s interest in your product. Now let’s talk about where you could be putting your money to turn a better profit. Don’t let the three points above scare you. There is plenty of needed intellectual property out there waiting to be discovered. Sometimes, it may just be a small tweak from where you were headed in the first place. First, you need to analyze what areas are open and wanting in your area of expertise. When you’re innovative, you’ll find the IP that needs to come to the light. Find the right niche, and you may never need to find another. Don’t forget to examine the possibility of patent infringement. Searching to see if your own patents have been infringed upon could be another untapped source, with either lawsuit or monetization. Cleaning up your infringements not only benefits your bottom line, but gives you an idea what your competitors are up to as well as who to keep your eye on! You should always make time to examine the patents you have. Are they still benefiting you and your company? Have they done anything to further your brand? Or are they sitting stagnant while your company moves on in a different direction? Just like when your kids outgrow their toys, and you don’t want to throw them away, you have a yard sale. If your patents are no longer useful to your company, it’s likely someone else could have a use for them. Selling them could benefit you both in the direction you are headed. For more information from IPVision, get in touch with us here. Our innovation consulting can give you an idea about the plausibility of your idea.